PS: Lee looks surprisingly old in her heavy damage art. Ah!! Madame Lee, just hold on!! Are you OK, Madame Lee!? The whole floor is covered in your blood!! Madame Lee has a high rarity, and also powerful in combat. She is even a five star T-Doll! 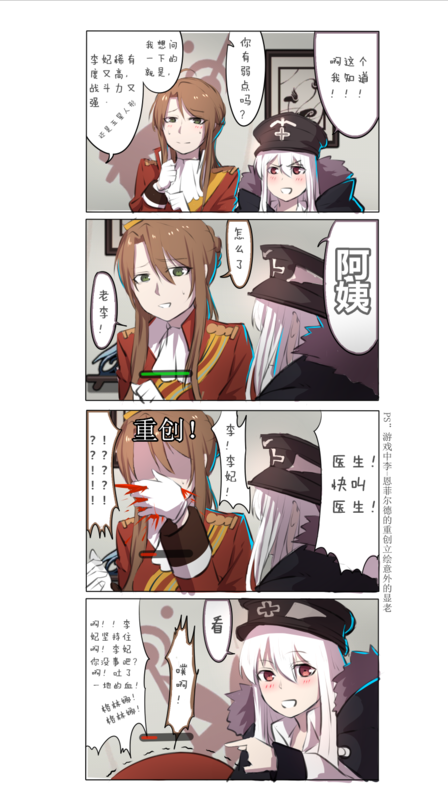 Lee-enfield's art is very elegant, so the Chinese players dubbed her "British Madame", "Empress Lee", or in this case, "Madame Lee".